Venter & von Abo Inc.
With Corporate offices situated in Westonaria, on the doorstep of Johannesburg, the rest of Gauteng, the Vaal Triangle and North West Province, the team at Venter & von Abo Inc. is ideally located to attain it's vision of providing a comprehensive range of legal services, professionally and efficiently, throughout South Africa. 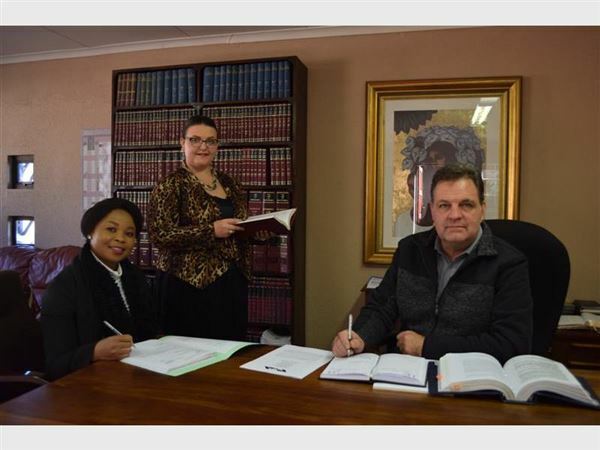 Venter & von Abo Inc. has, since 1977, established a comprehensive national legal network with access to various Legal Professionals, excellent relations with the National Prosecuting Authority and Officials of various Law Enforcement Departments. 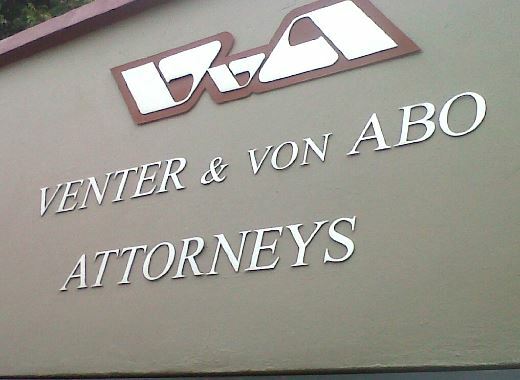 Venter & von Abo Inc. can attend to the whole spectrum of legal services nationally.